When friends or family, maybe even a work colleague or business customer, moves to a new home, here at Australian Gourmet Gifts we know that you’ll want to provide a terrific housewarming gift to help them celebrate in style. Our housewarming hampers are delivered direct to their brand new front door and inside we’re happy to add your welcome and good luck message. Our terrific range of housewarming gift ideas allows the new arrivals to drink a toast to their future with boutique reds or whites, or even Moet Champagne from France. Added to each of our housewarming gift hampers is a collection of delicious gourmet food, indulging chocolates, and more. Should you be looking for more than one housewarming gift, Real Estate Agents usually do, we’re here to assist you! It’s one of those pivotal moments in your loved one’s life. It’s a scary big step. It’s a lifelong commitment. They’ve been through a stressful time, and it’s finally paid off – that’s worth celebrating! After months of stressful negotiation, a few disappointments and some terrifying big commitments, your loved one has taken the leap into home ownership (or traded up for their dream home). That’s worth a glass of bubbles and few mouth-watering treats. After all, their cookware is still in boxes, somewhere. The ultimate gift starts with a beautiful housewarming hamper! As a Real Estate Agent, you’re looking for corporate hampers that will enhance your brand and customer referrals. However, finding the perfect present for new homeowners can be tricky if you don’t know their personal style or how many serving platters they have hidden away. A box of chocolates and bottle of wine is fine, but the purchase of a new house deserves celebrating in style. Be the favourite guest with a housewarming hamper laden with premium wine, rich chocolates and gourmet goods. The new homeowners won’t need an excuse to put their feet up as they indulge in a carefully selected basket of fine foods. Importantly, your clients will never forget this gesture of generosity. Why wait for a housewarming invite before you buy your friends or new neighbours a housewarming gift? Moving is tough. The new homeowners will likely be battling through boxes and commiserating over an empty pantry. A new home hamper will be a thoughtful surprise and perfect excuse for the new homeowners to take time out from unpacking. Help them toast their new home with a premium red or white and an impressive selection of chocolates, jam, mustard, olives and more. Add a personal message to this beautifully packaged hamper and you’re guaranteed to rise to best friend or neighbour status. A housewarming hamper is one package new homeowners will be keen to unwrap. Whether you’re welcoming a new neighbour or celebrating a friend’s first step on the property ladder, a new home hamper filled with premium wine and luxury treats is guaranteed to help them settle into their new home. Finding a housewarming gift is easy with Australian Gourmet Gifts. Simply choose one of our divine hampers, tell us which message you want on the card, pay via credit card and leave the rest to us. Great service and quality products used. I've been using Australian Gourmet Gifts for years now and I would highly recommend them. Really impressed with this company. My mum ordered me a gorgeous hamper for xmas through them which was signed for by somebody else and essentially stolen from me. I informed the company and not only did they arrange for me to have another hamper free of charge they also hand delivered it to me. Wonderful people. This is the 2nd time I have used this company. Theo is always helpful and the service is fantastic. I would highly recommend anyone using them. My wife and I recently returned home to the U.S. from a trip to Australia. We wanted to send our host friend a nice gift and thought about flowers. We had a few recommendations, but found the delivery charges inflated, the reviews questionable and phone calls not answered. Almost ready to give up we stumbled on the website for Australian Gourmet Gifts. I made a Skype phone call and my questions were promptly and pleasantly answered. We decided to order the "Red and Sparkling Wine Sampler" and it arrived in 48 hours. Our friend was delighted and sent pictures of the sampler to us. We were equally delighted. I highly recommend Australian Gourmet Gifts. Such prompt and efficient service makes Corporate Gift Shopping for Christmas a breeze. Fantastic Service! We have used them for 2 years to send a large number of client gifts at Christmas and the fact that they deliver to any address in Australia is very convenient. We were very grateful for the well presented gifts that were provided through your firm this year and the feedback from clients has been appreciative. Furthermore I was most impressed with your eagerness to help us in providing an additional couple of last minute extra hampers and the direct mailing of these hampers to our clients to ensure they received them prior to Christmas. We would recommend Australian Gourmet Gifts to all. We cannot advertise Australian Gourmet Gifts enough! … extremely helpful and went above and beyond expectations, delivering beautifully presented hampers, full of divine products. We were very impressed with your hampers and quick turnaround especially at Christmas and with such short notice. The hampers were beautifully presented and were all received by our clients. Also the service you provided us with was exceptional, very happy! 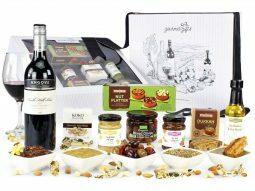 We at Brady Constructions (Vic) Pty Ltd highly recommend Australian Gourmet Gifts to all prospective businesses or companies looking for the very best hampers. This company is first class and we will be using Australian Gourmet Gifts as our supplier of hampers in the future. Thanks for sending the fantastic hamper for us. Here’s the thank you we received: Hello David & Heather, Just a brief note to say a big thank you for the fantastic Xmas hamper we received today. It is without doubt the best we have ever received. 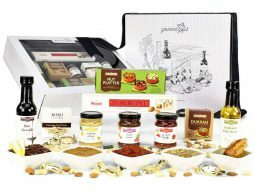 Australian Gourmet Gifts offer a wide selection of beautiful Gift Hampers which are created with elegance and value in mind. We are one of the leading companies for Corporate Christmas Hampers in Australia, and our hampers are perfect for all occasions, including Christmas, Birthday’s, Housewarming’s or as Get Well Gifts.